Soapstone. You can carve it using hand tools, and that is partly what drew me to it twelve years ago. Its beauty was another attraction: red, green, brown, grey, yellow, black, speckled patterns, and abstract veining, depending on what other minerals occur with it. It’s nice to work with, too: Soapstone is mostly composed of talc. These blocks of Brazilian and Canadian Soapstone show the difference between wet and dry color. Spraying water on the smooth surface helps you to see what the final colors will be, once the finish is applied. 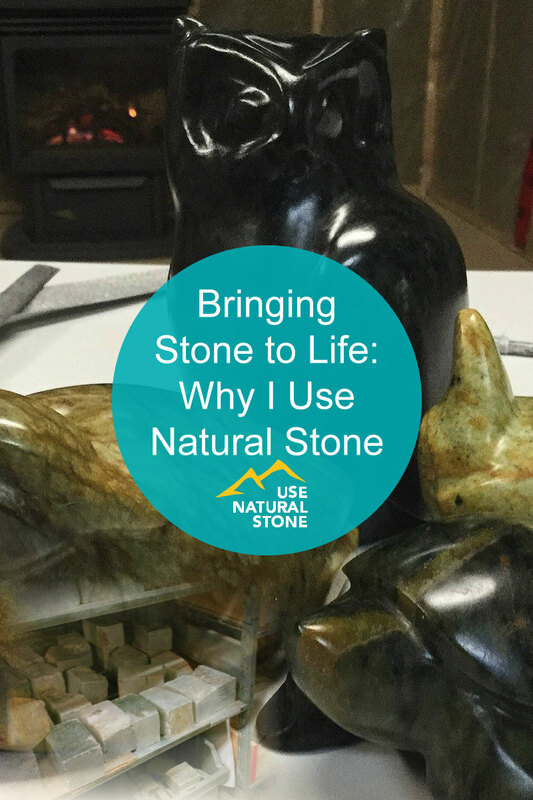 Choosing the right stone is half the fun. I buy Brazilian soapstone at Stonebridge Imports, a stone distributor in Kitchener, Ontario. 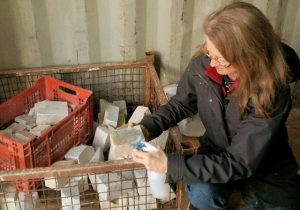 On a recent trip there I got to go out to choose stone from the big metal shipping container in their yard. Grey and brown blocks of soapstone were stacked on shelves along the container’s sides, and large soapstone boulders were piled in metal baskets across the floor. This time of year, the stone gets cold (and so do we! ), so they bring it inside to special storage areas. What’s not to like about cavernous bays filled with shelves and bins of soapstone? The simplest way to see the colors is to spray the soapstone lightly with water (I call this “the beach pebble effect”). Brazilian soapstone comes in a wide range of color combinations—browns, greens, greys, yellows, black speckles. Each type of soapstone has specific qualities, and each individual piece of stone has its own character. It’s hard to decide what to choose, and it usually takes longer than I expect, but it’s always an afternoon well spent. The large boulders are tempting, but I pass them by (with regret!) for smaller rough chunks and blocks, which are easier to transport and carve. Searching for interesting Brazilian Soapstone at Stonebridge Imports in Kitchener, Ontario—a favorite road trip. Most importers or mines carry both blocks and rough chunks in various sizes. I get Canadian Soapstone directly from Les Pierres Steatites, a soapstone mine south of Quebec City. Steatite is a traditional name for soapstone. 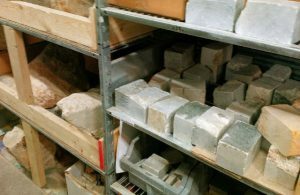 The mine uses specialized tools for cutting blocks of soapstone directly from the rock face, so the quality of the blocks is high. Driving to the mine to buy the stone (20 hour round trip), would be hard to justify (although fun—maybe someday! ), so I order online, and then it’s delivered to my door. There’s nothing like a stout box of soapstone to bewilder a delivery guy. 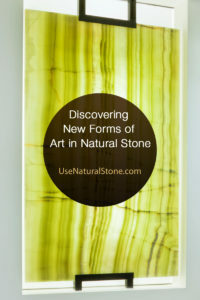 Soapstone from this location is dense, and has subtle and elegant colors of medium to dark greens, sometimes dark grey. The new blocks are given a basic sanding, and then I run a damp cloth over the surface to get an idea of the colors and veining. This will help me decide what to carve, and how. 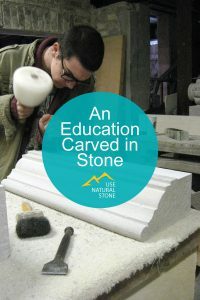 The final carving will be enhanced by the beauty of the stone itself. This is a typical setup for my workbench: sandbags, tools, dust mask. Unfinished carvings are nearby to switch to when I lose momentum with the current carving. 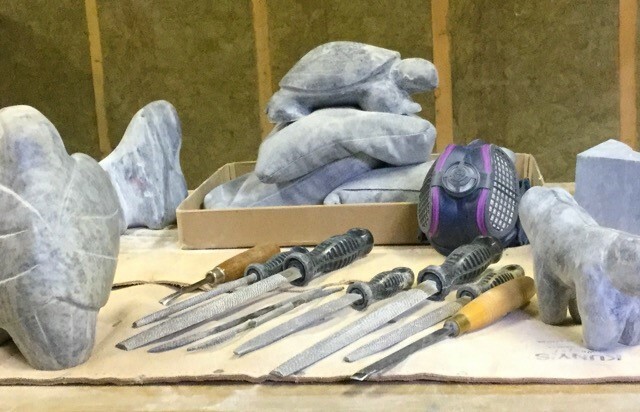 My home workshop in Port Rowan is dedicated to soapstone carving. Nature is my inspiration: turtles, ducks, owls, and other creatures at different stages of completion sit patiently on my workbench. Next to my sandbags and works-in-progress are hand tools with exotic names like half-round rasps, fishtail gouges, and rifflers. Along my workshop walls are blocks and pieces of raw soapstone on shelves and in milk crates, waiting to be transformed. Carving soapstone is very centering, and my mind calms and sorts itself while I quietly carve. A small carving gains warmth from your hands as you work with it, gradually developing its form: you could almost believe it has a life of its own. 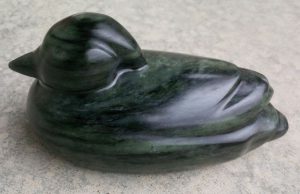 After many hours of work and polishing, this Wood Duck, hand-carved from Canadian Soapstone, is ready to find a new home. But a carving isn’t done until it’s sanded and polished, a process that can take hours of additional work, and days of drying. Sanding involves using several grades of sandpaper, then oiling the carving with many thin coats of oil. That first coat of oil is exciting—the true colors of the stone can be seen for the first time. Tung oil is my finish of choice: It is non-toxic, brings out the colors and veining, and gives the stone a lovely hand-rubbed patina. 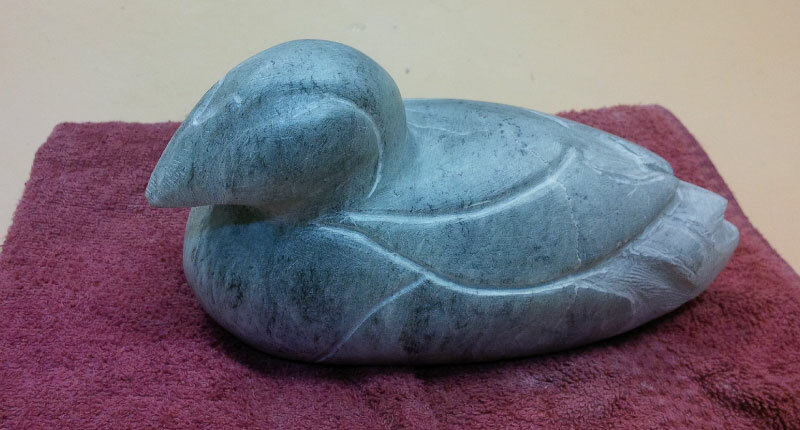 Carving soapstone is a great way to spend the workday. 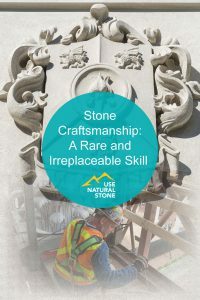 Every day is inspiring, and I feel very fortunate to have the opportunity to work with this beautiful natural stone, and to create lasting works of art with it.